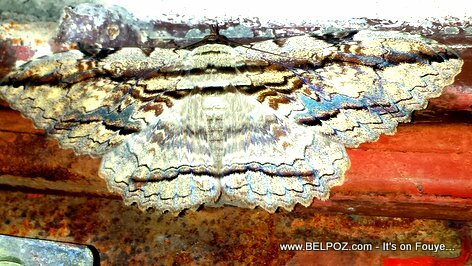 This type of butterfly is usually spotted with its wing wide open in a area that resembles it wing colors. If you know what species it is, please share it wit us. Why are Haitians so affraid of this Butterfly?